Great Mail Day today! 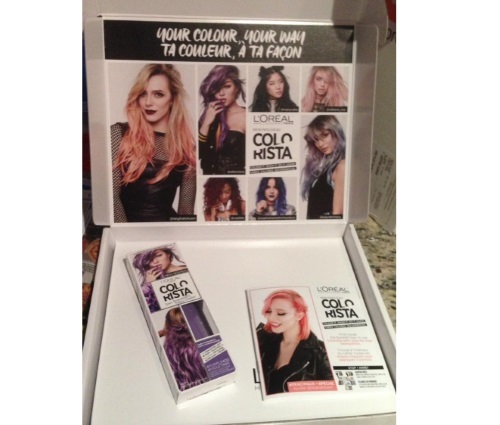 I got a surprise package from Loreal with a Colorista hair dye! I say surprise because this was a contest and I wasn't notified that I won, it just appeared. This package was very nice, big box and was shipped via Fedex. I chose the purple colour and am excited to try this! Wondering where this came from? This was a Loreal contest that we blogged earlier. Did you win this too? Let us know on our Facebook Page.